Our goal has always been to achieve zero technical support problem calls for your software with regard to licensing. Obviously, your customers may need assistance with complex, multi license type installations and configurations, but they should not be calling your support staff with "I'm getting this license error". 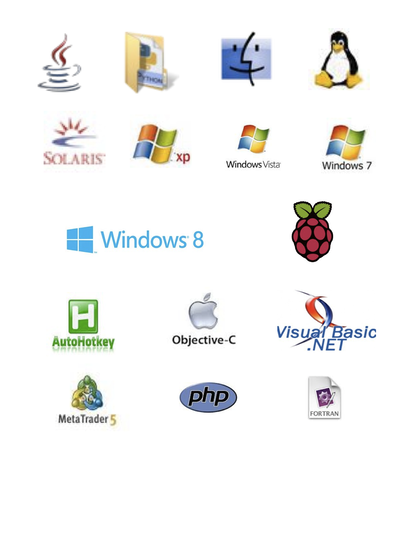 You can build custom Java, Python, PHP, C, C++, Objective C, VB.NET or any other native language interface applications with ease by you or your staff. We are are not just a software license provider, but also a toolbox that can access programmatically all the same functions and internal data structures as we do from any supported language interface securely with only your private encryption information. SafeGuard LM 5.5 was going to be the last of the 5.x series, but there were some enhancements that we've wanted to add for quite a while and didn't need to be part of the 6.0 release, so we released 5.6. It contains a native FORTRAN language interface. This now brings us to 10 native language interfaces. Many developers have been asking for this for a couple years now, and some have written their own. But we are going to provide complete support for this through the standard C/C++ libraries. There have been a few bug fixes that affected very few developers, but none the less, it was prudent to get them fixed in a 5.6 release so we can start on 6.0 with a clean slate. The PHP interface has been upgraded from 5.5 to 5.6.17. As well as the Python interface from 2.7.3 to 3.4.3. These changes were all based upon developer feedback. SafeGuard LM 5.5 is available for general release. It has new functionality that includes the ability to start the floating license manager and generate an optional CSV (Comma Separated Values) text file that can be used by your customers to generate graphical charts of license usage over time. Using free tools such as Google Sheets, LibreOffice (formerly OpenOffice) and others. No need for your customers to purchase expensive 3rd party charting software to chart license usage over time. Also included is the ability to securely grab the log file output from the Product Activation Server over the wire. This allows you to get the log file output from the server that may be running on a VPS somewhere, without having to log into that VPS to see it. Also added is functionality for you to be able to query the license server in great detail to find out exactly what licenses are currently checked out with details about the thread ID, socket file descriptor, PID of the process on the remote system, pathname of the remote process, IP address, hostname, usernam, and more. Support for multiple Operating Systems and languages. See the complete list here. For a list of Linux flavors, look here.